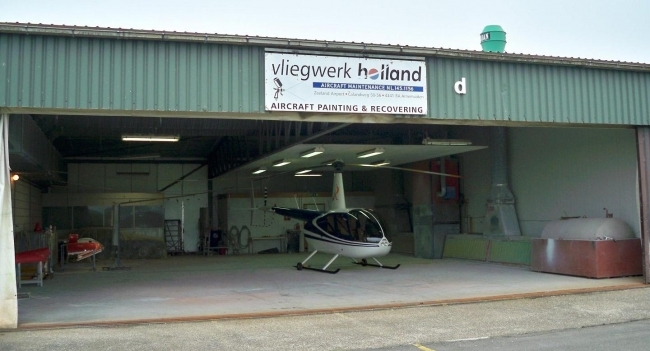 The main facility of Vliegwerk Holland is located on Zeeland Airport (EHMZ), in the South-West part of the Netherlands. The activities are spread out over 4 hangars. 2 Hangars are used for the all the maintenance and repair work, with seperated spaced for specialised work as sheet metal, welding, battery service, component maintenance etc. Also our office is here located. These 2 hangars are completely renovated in 2009/2010 with new floors and workrooms according the newest standards, which makes us ready for the future. 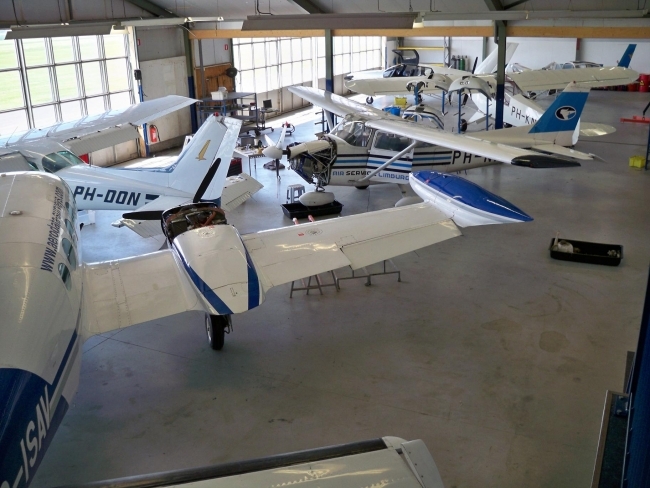 A separate hangar of 225 square meter is equiped for all kind of paint services. Highly skilled people take care of the aircraft and turn it into new aircraft. See pictures below for an impression.